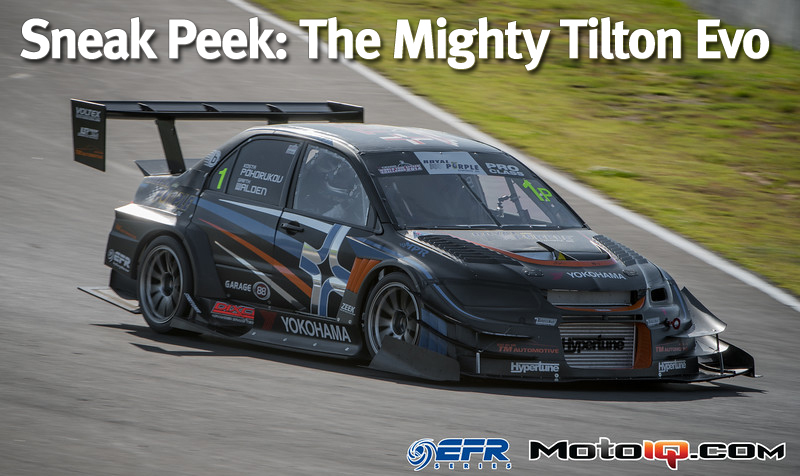 As the 2015 WTAC has just ended with the Titlon Evo piloted by Garth Walden setting another world record by lapping Eastern Creek at a blistering 1:23.777 pace, let's take a close look at the world's fastest unibody car, the winner of the 2015 WTAC and overall world record holder, the mighty Tilton Evo. 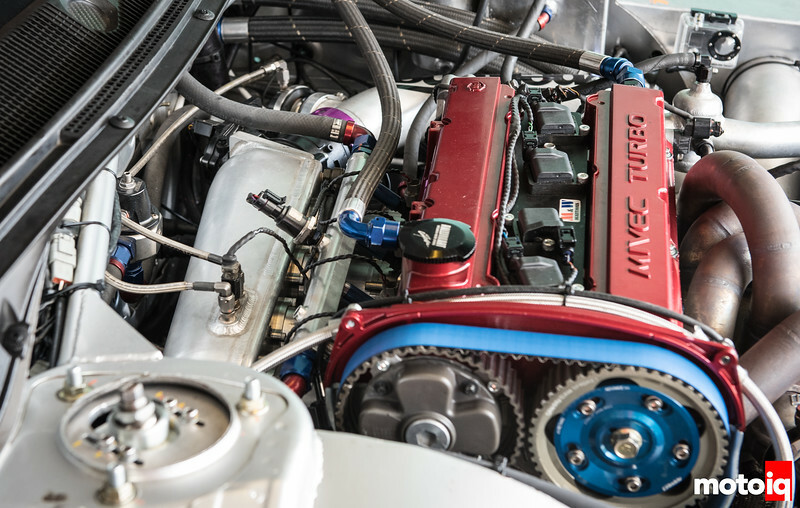 Currently the Tilton Evo is the epitome of time attack state of the art and showcases just what can be done when maintaining the standard unibody to a car built nearly to the fullest extent of the rules with almost no expense spared. The Tilton Evo is fascinating with a level of construction, typical of WTAC cars that makes our efforts at doing the same thing here (in the USA) look silly in comparison. Unlike the controversial Nemo Evo the Tilton Evo is built with the chassis in a very safe conventional interpretation of the rules. Thus the Tilton Evo is a more conventional car which bears some semblance to its street going brethren. For interests sake, take a look at the Nemo Evo and compare and contrast the two radically different cars. My personal preference is for cars more like the Tilton Evo which I consider to be built in the spirit of what I feel time attack should be. Not to take anything away from the amazing Nemo Evo but just my own personal opinion. Let's now take a look inside this marvellous monster. 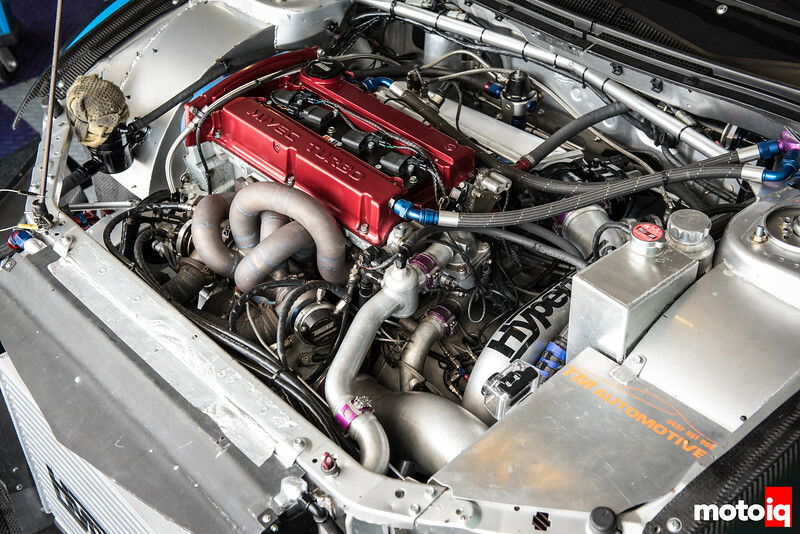 The Tilton Evo's 4G63 engine is quite a powerhouse pushing the limits of what the basic engine architecture is capable of. The engine is stroked with a Cosworth crank and rods to gain another 200cc of displacement for 2200cc total. ACL bearings are used as well as CP forged pistons. The cylinder head is CNC ported and features 1mm oversize valves actuated by Kelford cams with Cosworth springs and titanium retainers. To keep things lubricated the engine uses a Peterson dry sump system. The engine retains the stock Evo IX variable intake timing but has an HKS adjustable exhaust gear. A Hypertune stainless tubular pulse converter exhaust manifold is used with dual Turbosmart 45mm Hypergates one for each pair of cylinders to control the boost. Note the generous use of swirl pots and surge tanks to keep air out of the cooling system. Also note the generous crankcase ventilation for the drysump system. A Turbosmart Race Port BOV handles surge prevention duties. Hypertune also fabricated all of the charge piping. A Hypertune intake manifold and throttle body are used. You can see the direct fire coils for the MoTeC CDI unit that take the place of the stock lost spark parts. A Turbosmart fuel pressure regulator and large injectors are needed for the E85 fuel.